Okay so I heard about this a few days ago and to be honest before that I'd never heard of Martin Sellner and Brittany Pettibone. What happened was Austrian Identitarian leader Martin Seller was arrested at Heathrow airport ahead of planned speech. Basically he wasn't allowed into the country and neither was Brittany Pettibone. She was coming to film the speech and interview Tommy Robinson. I don't care what your politics are or what you believe in stopping free speech is not the way forward. I value free speech - as the title of this section says free for all - i don't agree with closing down events be it right or left. I don't think we should have battles on the streets that the police need to deal with either. But you're not telling me they can't deal with this type of event. I know they can. We are going down a dangerous road when the threat of violence by far left thugs in this case can stop free speech. My view has always been - if you are confident about your own argument then let other people speak - but unfortunately some people don't want people to have free thoughts, they want to close down every other view but their own. I know this is not for everyone but I think it is important that this type of thing is exposed. You won't get the main stream media debating this. You won't get the lefty liberals tweeting about this because they keep churning out their own political agenda. This is getting out of hand, Lauren Southern has now been banned from entering the UK. I'm not kidding about this, but during my questioning by the UK police... I was asked about my Christianity and whether I'm a radical. I was also asked how I feel about running Muslims over with cars. I had no idea who Laura Southern was, so Googled her. I'm not conviced she's any constructive arguments. She's only going to stir up hate and boil Antifa's piss. Good call to deny her access IMHO. Last year she was detained in Italy for attempting to block a boat of refugees from North Africa. How very fasco of her. I wonder what her secret vigilante plans were for the UK? I hope she enjoys the plane ride home! But that is not the point is it. I thought we allowed free speech in the UK - Now if you are starting to dictate who can come in and who can't based on their political views then fine. But who is going to decide that, because I can think of many with terrorist links that have been allowed into the country and many have shared the same stage as Corbyn. No surprise there as he does like a love in with terrorists but like I said it is a dangerous road to go down. My view is if you think the person has a weak argument then you let that person speak. But you see that is the problem with people who align themselves with sides, after a while you can't think for yourself and you get into the mind set that your opinion is right and you want to close down what other people have to say. And in some cases people want to close down other peoples opinion just because it is different to their own. 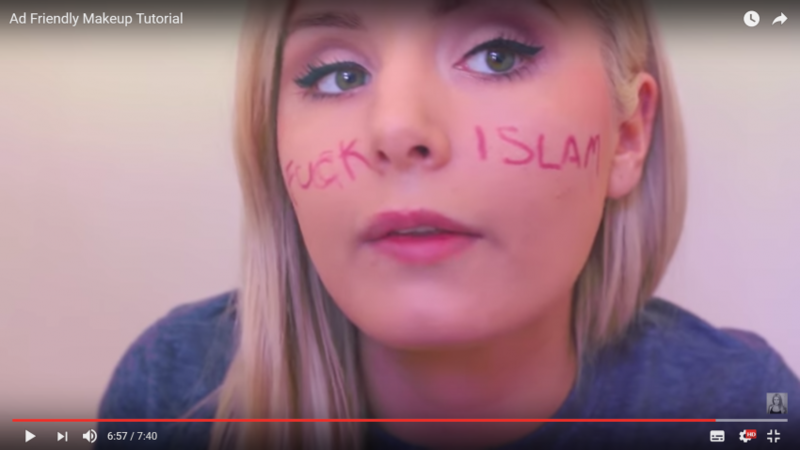 I don't know anything about Laura Southern, but if she is going to "boil Antifa's piss" as you say then I can't think of a better reason for letting her in if that is the case. I also notice that you didn't comment on the first two individuals that were not allowed in. Like I say we let many many people in who I don't think should be allowed to speak but that is what you accept if you want feee speech.